Transitional Absurdity refers to a dynamic that for quite a while I questioned. Only recently have I written about it. I now think in fact it is quite important. It offers explanation for much of what we might find most disturbing in current human behavior. It also helps us understand how what we see may have more benign—or at least reconcilable—implications than we might fear. It is hard to ignore that much that goes on in our times seems not at all sane. And we must not ignore it—we pay a high price when we do. At the same time, acknowledging how often our actions seem not sane easily leads only to cynicism—and often of an imperviously self-righteous sort. 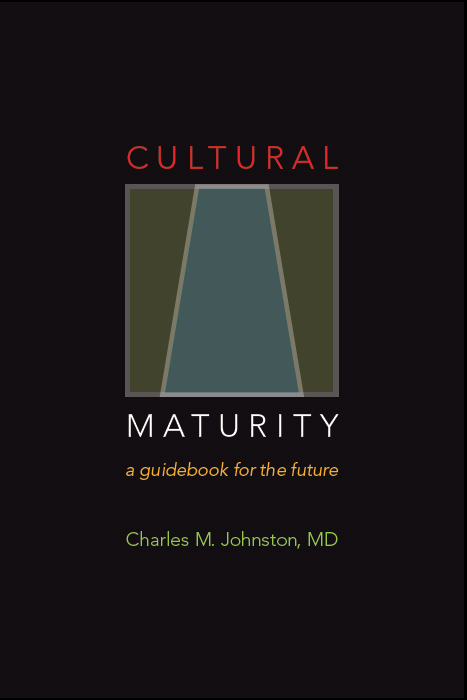 A recognition that follows directly from the concept of Cultural Maturity assists in getting us beyond both unhelpful responses: Many phenomena particular to our time that may appear ludicrous, if not disastrous, in their implications, are predicted by Cultural Maturity’s mechanisms. Some of these phenomena are simple reactions to limits we would prefer to deny, or to complexities that stretch us beyond what we are yet able to tolerate. But many relate more directly to the Dilemma of Trajectory. They express where our evolving two-handed relationship to truth predictably takes us. Creative Transition’s threshold presents a strange circumstance. The archetypally masculine has almost wholly eclipsed the archetypally feminine. We stand in a world of all content and no context, of all right hand and no left, of life as ultimate abstraction stretched ever more distant from the foundations of experience. We can understand each of these “absurdities” as what we would expect when a challenging of traditional assumptions intersects with developmental dynamics in which only the faintest vestiges of more archetypally feminine and primordial sensibility remain to ground our choices. The attraction of the trivialities of mass consumer culture reflects consumer culture’s role as a last meager remnant of community (and an ultimately material, right-hand expression of it). Consumerism also represents a last faint residue of receptivity (material consumption being the most surface form of “taking in”). Our denial of environmental vulnerability follows predictably from our degree of dissociation from nature (and a complementary extreme hubris). And the dumbed-down pettiness of modern politics reflects a reality in which only the most superficial of concerns is likely to get real attention (and in which “democratic” decisions go evermore exclusively to the highest bidder). That we can ignore how invention has always been Janus-faced in its implications is similarly an expected consequence of an isolated right-hand worldview (in which the object of creation becomes truth itself). When we confuse religion with money this reflects what has become most sacred in our isolatedly material world. And a culture in which artificial stimulation trumps substance is what we would expect when life is lived at only the most surface layers of experience. With some Transitional Absurdities, what most stands out is how right-hand sensibilities have themselves become truth. (For example, with the way money has become ultimate ideology, and how readily we assume that new technologies, by themselves, can be our salvation.) With other such absurdities, it is the near absence of truth’s left-hand that is most obvious. (For example, when we are oblivious to the harm we do to nature or how disconnected we can be from our bodies.) Or it what may be the degree we live life at the surface of things that is most apparent. (We can see this in our extreme materiality; in our rush-rush, multi-tasking, lives; in our equating of artificial stimulation with significance; or in how readily we confuse the most superficial of electronic human contact with relationship. We can usefully apply the concept Transitional Absurdity to today’s broader crisis of purpose. In part this crisis is a function simply of the loss of familiar truths. 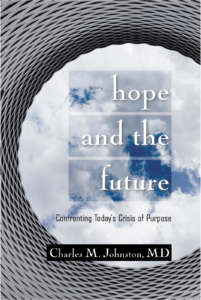 But, if the concept of Cultural Maturity is accurate, our crisis of purpose is just as much a function of this disconnectedness. Actions have no meaning estranged from their contexts. And freedom severed from deep human relationship and the flesh from which our tool-making capacities arose, stops being freedom at all. Such recognition is not pleasant. All of this is very real. And these realities are not just absurd; if we extend them any great distance into the future they become insanity. But at the same time, the concept of Transitional Absurdity offers an ironic sort of hope. We derive at least limited reassurance from recognizing that such blindnesses and insanities are predicted. The creative necessity of Transition means we need not think of them as evidence that we have gone irreparably astray. Moreover, the concept of Cultural Maturity suggests that solutions exist. It also proposes that, in the end, a single solution works for all of these absurdities: the “growing up” Cultural Maturity describes. Again, we find both guidance and evidence. That Transitional Absurdities carried very far into the future become not just absurd, but insane raises some obvious questions about what we should anticipate in the decades immediately ahead. Note that we see, simultaneously, two trajectories with markedly different implications. While Cultural Maturity suggests important new possibility, Transitional dynamics suggest something quite different if these absurdities continue on to any great degree. In fact, they most likely will. At any major culture change point we tend to hold onto old realities well beyond their timeliness. Overshooting the mark is pretty much how things work—partly out of fear and denial, partly because systems are not homogeneous. There will always be great diversity in how far along individual people are. In the next chapter we will look at further mechanisms that are similarly predicted and which lead to results we might not prefer. Some could put us in significant danger. If they don’t result directly in poor choices, certainly they could blind us to the perspective necessary to ask the needed questions. In the decades immediately before us we should see inspiring examples of culturally mature leadership and much in the way of good and wise decision-making—at all levels—that will move us deeply. Certainly we will also encounter absurdities, instabilities, and even cataclysms. Some of them may try us mightily. Notice that the fact of Transitional Absurdities, if this interpretation is correct, in another way serves as evidence for the concept of Cultural Maturity. It is a harsh sort of evidence. If this interpretation is not essentially correct, we are headed in directions that are ultimately unworkable, with no options—at least that I can think of—that could save us.